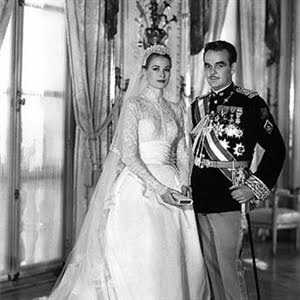 After all the comparisons I just wanted to have another look at the amazing gown, designed by Helen Rose, Grace Kelly wore when she wed Prince Ranier in 1956 to see which one I prefer. I can't help but being continually drawn to this dress. 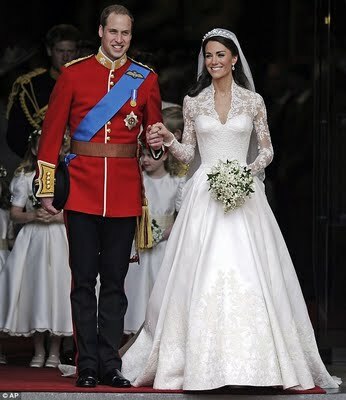 I just feel it has that something extra although if I could see more closely all the beautifully intricate embroidery done on Kate's dress by the Royal College of Needlework in London I might change my mind. 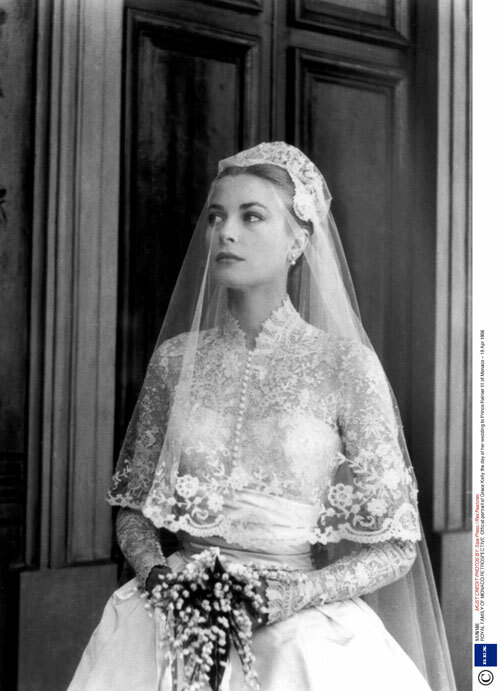 I absolutely love Grace's wedding dress. It will be forever timeless and classic. I think it might be the cummberband waist perhaps. 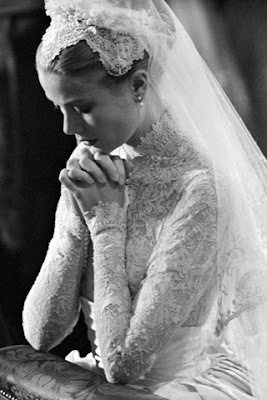 And Grace's head piece was divine.